Collab with Bea Marie Art! 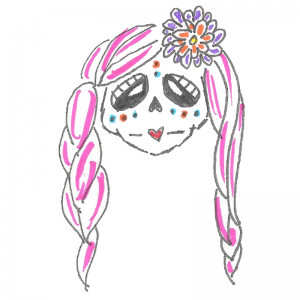 When searching for some Dia de los Muertos graphics, we were coming up short! Thankfully, Stephanie Gonzales with Bea Marie Art contacted us on Instagram and our worlds aligned. She explained she is a Texas artist and was looking to collaborate with other artisans. 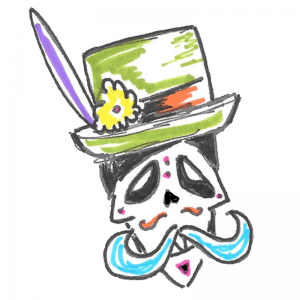 She then created 3 fantastic Muertos-themed graphics for us. The graphics are hand drawn and very unique. As you can see, these are fabulous! Stephanie is based in Corpus Christi, Texas. 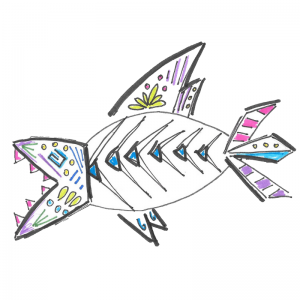 She has been has been drawing for many years, and her Etsy shop was freshly opened in 2018. Visit the Bea Marie Shop for chic, hand painted note cards. Stephanie also does custom orders! We will be adhering these amazing graphics to our neoprene drinkwear. They will be first available at the Dia de los Muertos Festival in downtown New Braunfels on Saturday, October 27. 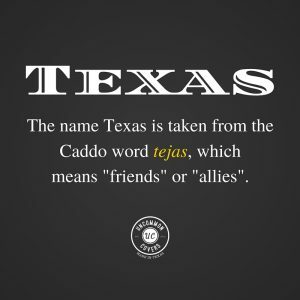 Stop by and see us and get your very own Texas-made collab drinkwear! Hey hey! 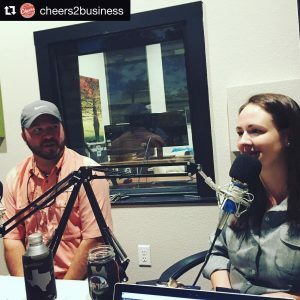 We recently recorded a podcast with Cheers to Business here in New Braunfels. Sitting down in a real recording studio at Gruene Records (which is a beautiful space! ); we talked all about Uncommon Covers, how we got started and where we want to go. Below are some photos of the things we talked about during the podcast. Take a look! BJ & Jenny talking about UC. 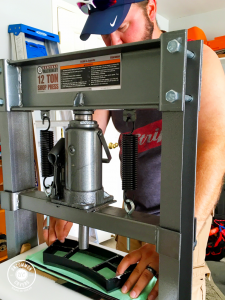 BJ using the shop press to die cut cup sleeves. 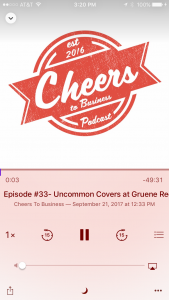 Cheers to Business podcast. 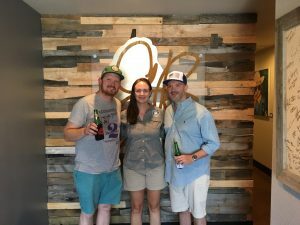 Listen to Episode #33 and more. You won’t regret it! February is here! 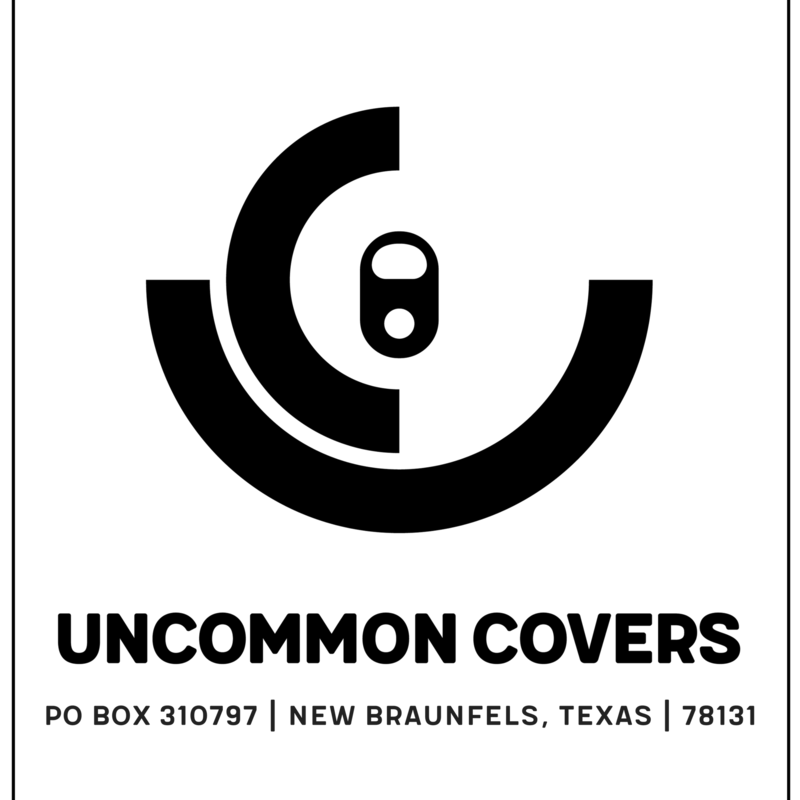 This week we will discuss football and love – two superb upcoming occasions for koozies from Uncommon Covers. The apex of football season is here with the upcoming SuperBowl 50. The golden anniversary of SuperBowls. Who will win? AFC vs NFC, Denver vs. Carolina, Peyton vs. Cam – so many contests to be settled in 60 minutes of playing time. Whichever team is yours, please do not forget to keep your beer, soda, wine, water, Red Solo cup, etc. covered with an Uncommon Cover while watching the game. There’s no reason to add a cold hand to the mix while cheering on your team. Also, let’s not forget the VERY MOST IMPORTANT parts of the SuperBowl – the commercials and the halftime show. This is probably the only sports broadcast you will watch all year where you remain interested in between the actual playing time. Coldplay, Beyonce and Bruno Mars will be bringing their talents to the stage. They are all separately talented, so the combination should make for an explosive show. Maaaybe not as explosive as JT and Janet Jackson. Anyone remember that? The very next weekend after the conclusion of football season we are welcoming Valentine’s Day. As you may have seen on social media, Uncommon Covers has 3 different Valentine’s Day designs ready for yourself or your Valentine. Love – The classic. White text on pink neoprene. Be Mine – The original. Red heart on white neoprene. I Heart U – The monotone. 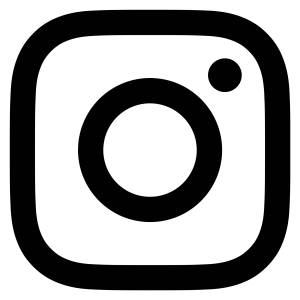 Black text on a black neoprene. All styles are available as 12 oz. koozies or cup sleeves. The colors are interchangeable. 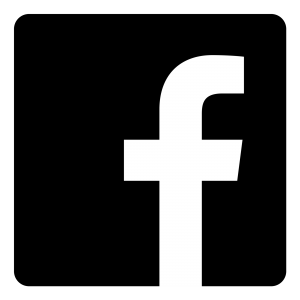 The monotone option is only available in black and white. The Valentine’s Uncommon Covers are the gifts that keep on giving all year long. A great item to keep your hand warm in the winter and dry in the summer. In preparation for these two awesome upcoming weekends, don’t forget to plan your koozie usage appropriately. Hurry and decide which Valentine koozie works best for you. February 7 is the final order date for guaranteed Valentine’s Day delivery. Okay, we know what you’re thinking, “The holidays?? It’s not even Halloween!” And you are absolutely correct. However, it’s never too early to get started on the stocking stuffers and corporate gifts. Our Holiday Covers are the perfect gift not only for the beer lovers in your life, but also for the people who seem to already have it all. Our holiday designs are very simple. Each is constructed of solid neoprene with single color lettering. Let’s explore the four options. 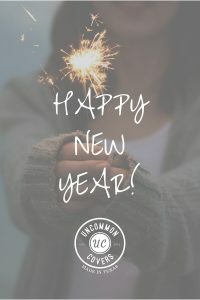 This is not an original UC quote, but the design is unique to UC with red neoprene and white letters. This one also features a mustache and a snowflake. A suitable match for any mustachers or hipsters in your life. This cover speaks for itself. If you have a friend or family member who could use a little Yule Fuel to survive the holidays, this will coordinate perfectly. This cover is blue neoprene with bright yellow letters. This one is a simple black and yellow design. This design can be use throughout the year to spread cheer and make spirits bright every time you use it. A personal favorite of our founder and CEO, this Uncommon Cover will sing with you all year long. A fun way to remind yourself of the joy of the holidays during the boiling hot summer months. Keep your beer cold all year long with a little holiday cheer. The holiday covers are shown in the shop are the standard 12 oz. Regular sizes. Each cover is able to be created in any other sizes that we offer, or better yet, any custom size you have in mind. While the designs are not editable, you can still request a name, logo or other text be added to the reverse side. If you have any questions, please let us know. 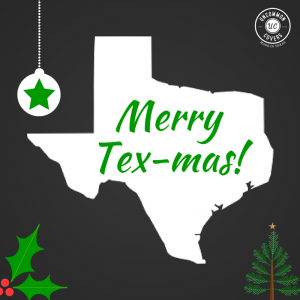 Order your holiday koozies here! If you are a daily coffee drinker on the go, then you know the struggle of holding a fiery coffee in a paper cup that is too hot to handle. 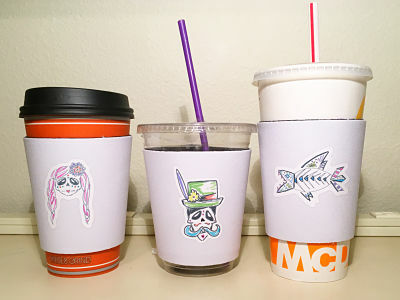 Of course there are the universal paper cup sleeves and the two cup method for better insulation. However, a reliable barrier from the heat requires a sleeve that is both sturdy and reusable. 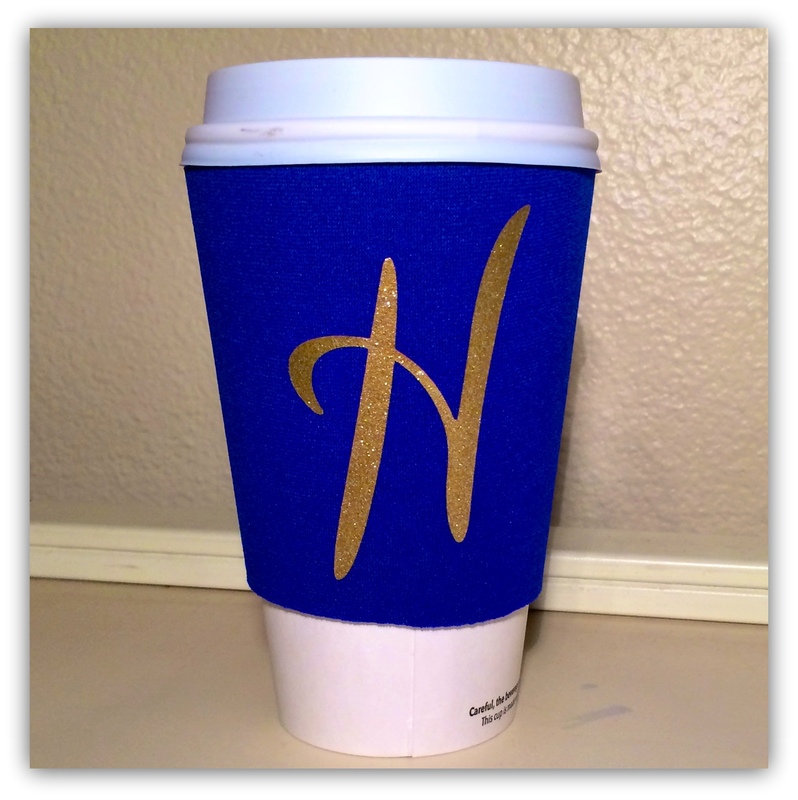 Neoprene Coffee Cup Sleeve with custom initial. 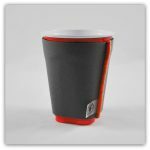 A neoprene coffee cup sleeve or koozie is a high quality reusable and washable cup sleeve. 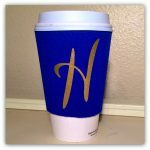 You can even customize your cup sleeve with your initials or logo. 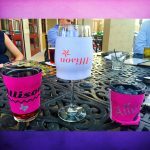 The neoprene cup sleeves are extremely versatile as they will also fit Solo cups, pint glasses and more. 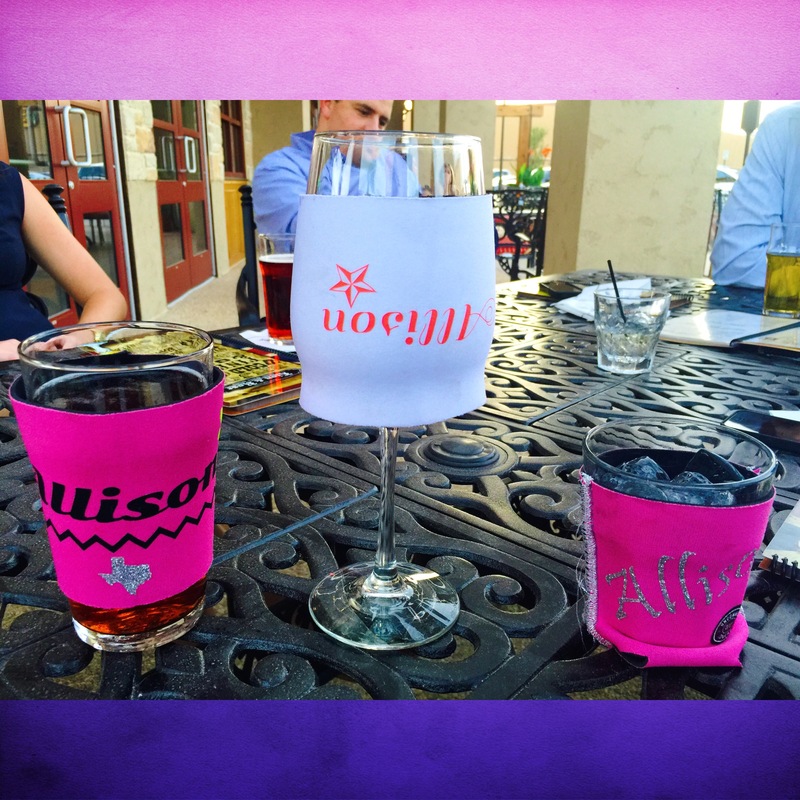 It can even be shimmied onto a wine or high ball glass for added comfort from the cold. 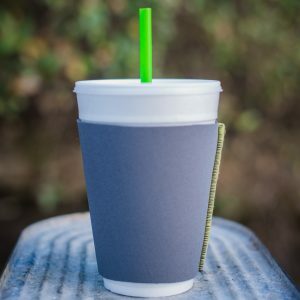 A foam cup sleeve is also very good quality and reusable. Foam is much more price competitive (see here). 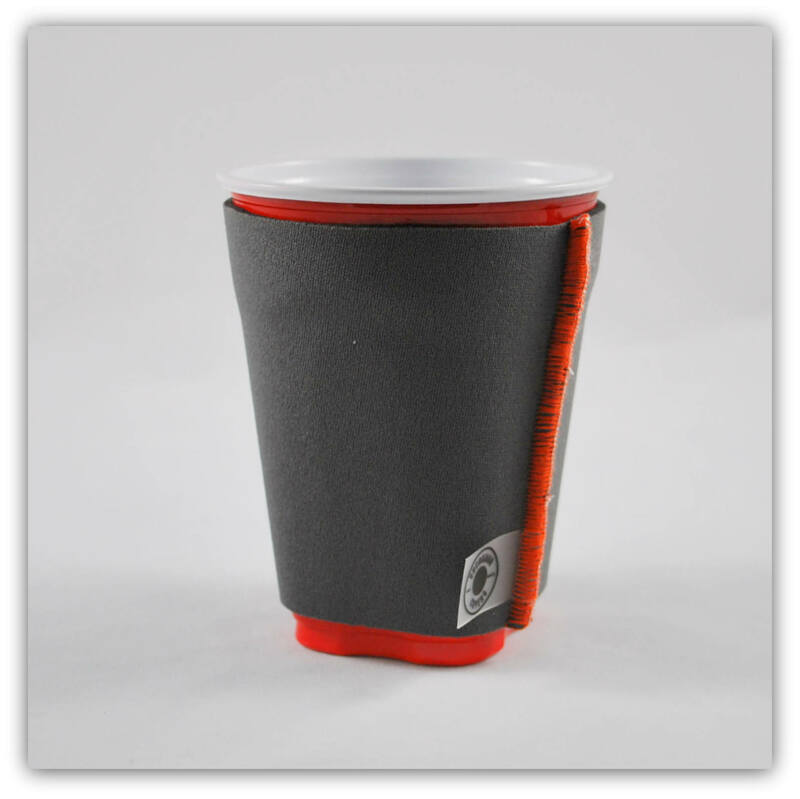 The foam cup sleeve can be adorned with your initials or logo just like the neoprene. Unfortunately, the foam cup sleeve is not as versatile. The foam sleeve does not stretch and retract as the neoprene does. So while it will definitely fit your coffee cup and other similar sized containers, anything outside of this standard size will be a bust. The original Cup Sleeve design. Paper cup sleeves are the standard, especially for coffee cups. 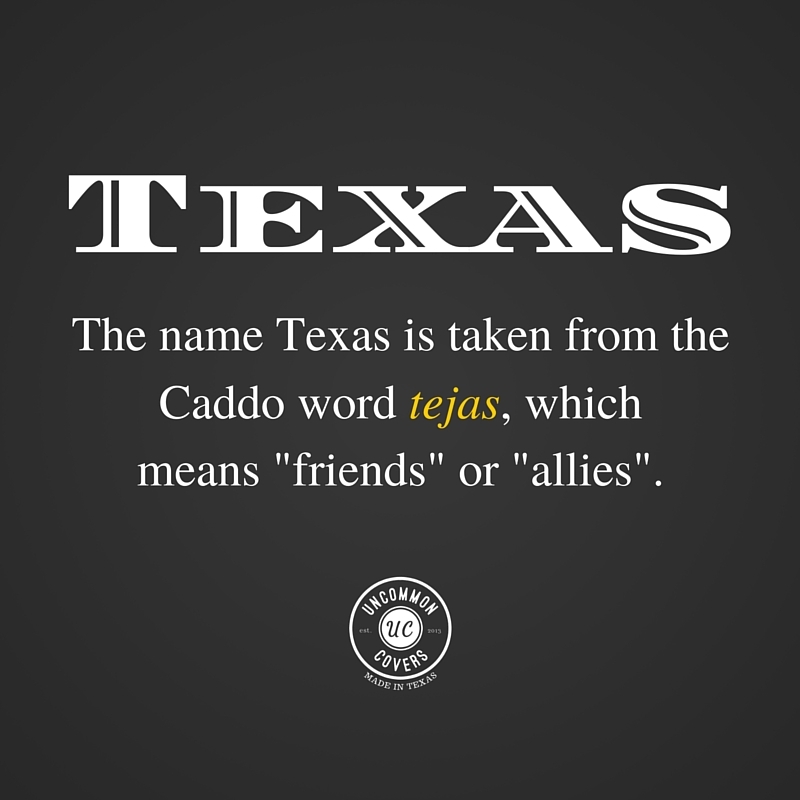 These have been made popular by America’s favorite coffee shop with the green and white logo. The paper sleeves are desirable due to cost, customization and recyclability. However, tossing one sleeve a day will add up. A reusable, washable cup sleeve with your unique brand is more appropriate for daily use. Additionally, everyone will know it’s your coffee. Hands off! Check out more photos of the neoprene cup sleeve on the UC Instagram or order your very own. 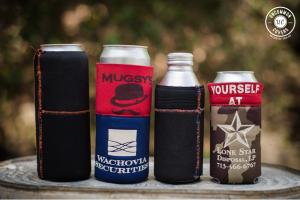 Koozies are believed to have been first created around 1980. 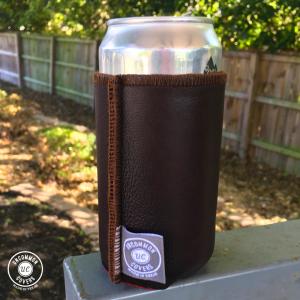 The need for a can holder was obvious, and over time, koozie morphed from a brand name to a generic name to describe all the items from can coolies to stubby holders. 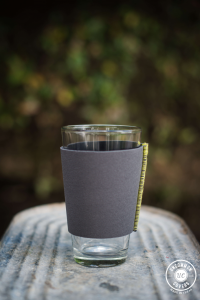 Many koozie materials have been used, but the 2 most popular materials are foam and neoprene. Foam koozies and neoprene koozies are two birds of a similar feather. The question posed is always the same: Which is better – neoprene koozie or foam koozie? Let’s explore these two options. Foam vs. Neoprene: Which is better? The truth is neither one is better overall. Foam and neoprene koozies both have advantages and disadvantages. Some will argue neoprene is better because of the sleek feel and wicking nature. Others charge the foam is better because of the color and design options as well as a good amount of wicking. Foam koozies are also known as scuba foam koozies. 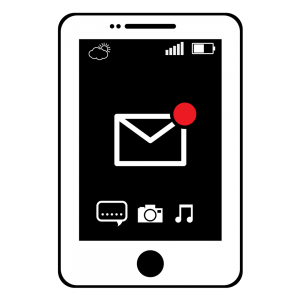 For design and color enthusiasts, these are the more diverse option. Foam koozies often are available in many color and size options. The nature of the foam construction is two polyester outer layers with foam in between. Neoprene is commonly used to make wetsuits for scuba diving. (Hence the confusion with the scuba foam. Hey, we don’t make the rules.) 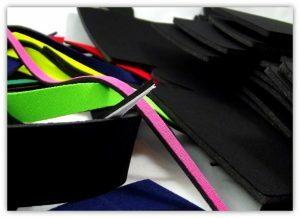 Neoprene is usually constructed of two outer layers of a polyester or lycra blend fabric between different rubber varieties. 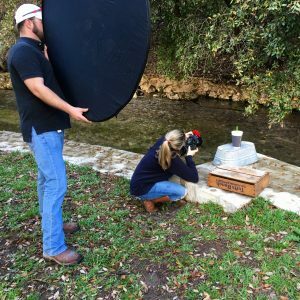 We typically use B foam or K foam neoprene for all in-house custom koozies. Foam or Neoprene: Which one should I order? The decision of foam vs. neoprene often boils down to two factors: price and style. Neoprene pieces compared to the foam. Foam koozies are much more price competitive. 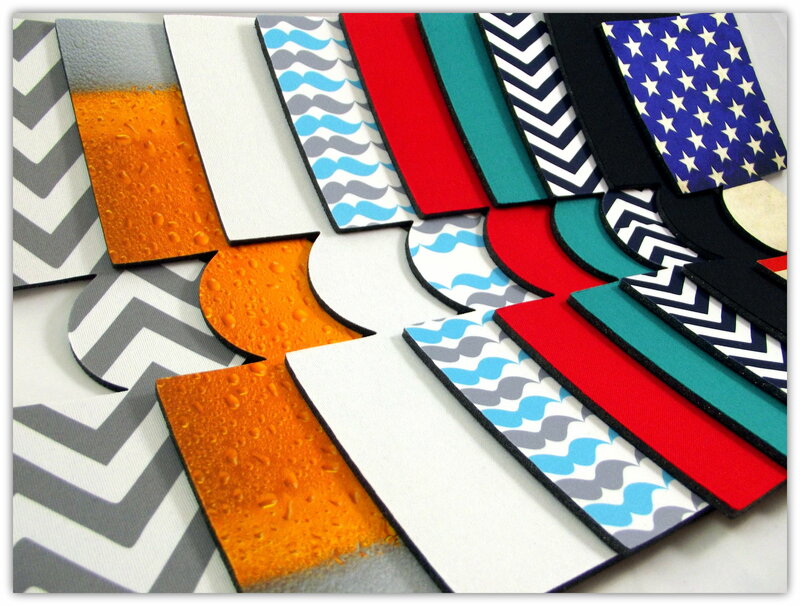 Color variations and design options such as USA and sports themes or chevron patterns are readily available. Since neoprene koozies are designed for a more snug fit, the foam koozies are easier to use on opened cans of soda or beer. Neoprene is far superior when it comes to wicking moisture. Neoprene also has a sleek feel in your hand. The neoprene koozies are more expensive, and the color options are usually limited to solid colors with green camouflage being the exception. However, neoprene can stretch and retract in ways foam cannot. 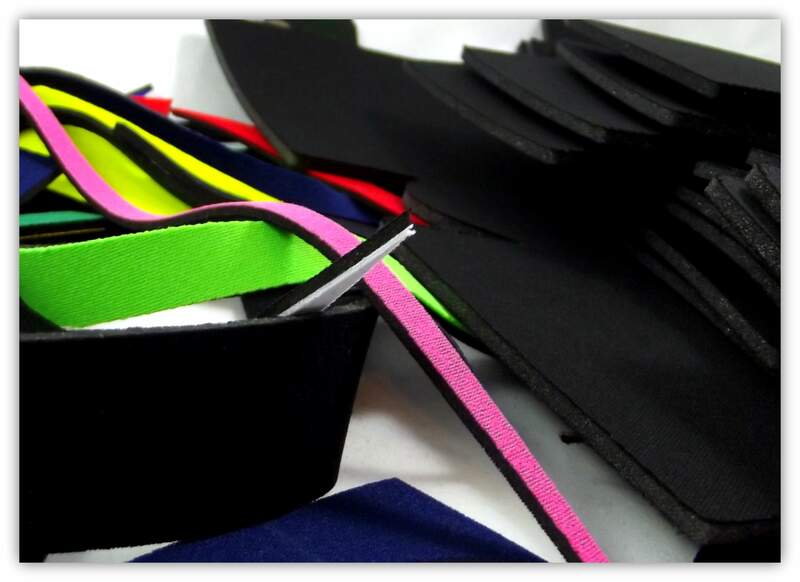 The natural elasticity of the neoprene material is well suited for stretching. The decision is ultimately up to you. If you order a custom koozie from Uncommon Covers, we will always recommend the neoprene. The foam is great for large bulk orders, but the neoprene will give you a longer lasting, sleek product. If you have any more questions about which one would be better, send us a message or order your very own.